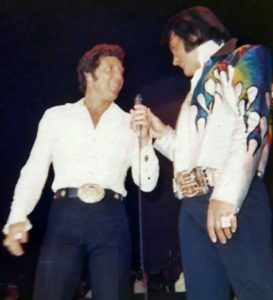 Tom Jones had the most awkward encounter with his hero Elvis Presley when Presley opted to relieve himself while pitching the Jones a new song . 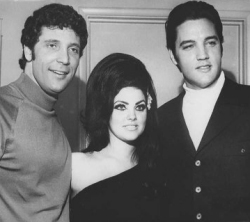 When Presley heard a song he thought was perfect for the Welshman, he insisted on visiting him in his hotel suite, while Jones was taking a shower. 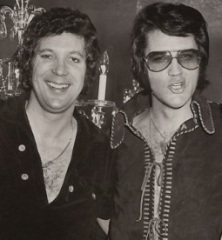 Jones could hear Elvis in the bathroom as he cleaned up and it was only when he stepped out did he realise The King had been crooning on the toilet…. “He was standing there cleaning up, looking in the mirror and so I’m naked and he’s half-naked; his pants are down by his ankles… and he’s singing. I’m trying to towel down and Elvis is singing… and then of course I said, ‘Elvis, you know your pants…’ and he went, ‘Red!’, because he used to have a bodyguard called Red… so Red busts through the door, thinking there’s something wrong… and he says, ‘My pants, man…'” The minder, Red West, then proceeded to help Elvis squeeze back into his skin-tight leather trousers. 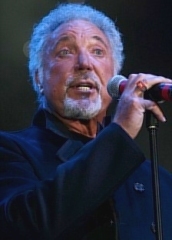 When Tom Jones was teenager, his idol was Elvis Presley. In early 1965, Jones rocketed to popularity with the huge hit ‘It’s Not Unusual’. 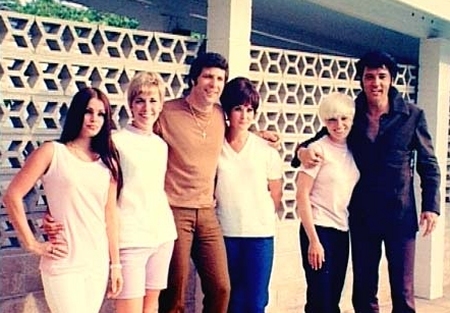 Later that year, they met at the Paramount stage, where Elvis was filming Paradise Hawaiian Style. After that, they became good friends, spending more and more time together in Las Vegas. 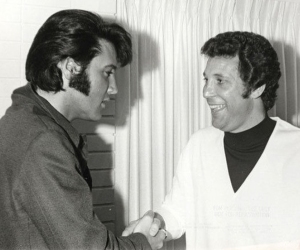 Tom Jones I went to Paramount studios in Hollywood to talk about a song for a movie, and they said ‘Elvis is here today filming and he would like to meet you’. So I though, my God, I didn’t know that he knew that I existed, because I had three singles out and one album at the time. And that was ‘It’s Not Unusual’, ‘What’s New Pussycat’ and a ballad called ‘With These Hands’. 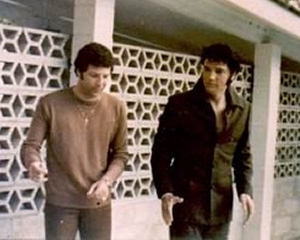 When I go on the set where Elvis was filming, he walked towards me and singing ‘With These Hands’, which was my record. I couldn’t believe it. It was like a dream, that Elvis Presley was singing my song, you know, to me! We had a picture taken, and he said to me, ‘How the hell do you sing like that’? And I said, ‘Well, you are partly to blame, you know, listening to your records in the 50s’. He said, ‘What’s it like in Wales then? You come from Wales?’ I said ‘Yeah’. And he said, ‘Do all people sing like that in Wales?’ I said, ‘Well, not exactly’, but I said, ‘Welsh people have strong voices, that is where I get my strength from. My volume is where I come from’. But, I said, ‘I was influenced more by American music than I was Welsh traditional music’. So I said, ‘It’s a combination. I have a Welsh voice, but because of American music influencing me so much, I am sounding like I do’. Because they thought I was black, you know. When they first started playing my records in America, they thought I was black. And so did Elvis Presley. He said, ‘When I heard ‘What’s New Pussycat’, I thought it was a black fella singing it’. Which was strange for him to say because they thought he was black when he started. We became friends from that day on, and that was in 1965. We were friends until just before he died. We worked Vegas a lot together, at the same time. 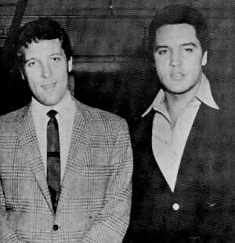 He came to see me at The Flamingo in ’68, because he said he wanted to make a comeback, live, because he hadn’t sung live for years.